Henry Ross Perot was born on the 27th June 1930, in Texarkana, Texas USA, of American and French descent. He is best known to the world for being an American entrepreneur and businessman, the founder of Electronic Data Systems (EDS) and Perot System. However, Perot is also probably remembered as the Independent Party Candidate standing for the Presidency of the USA in 1992 and 1996. His career has been active since 1957. Have you ever wondered how rich Ross Perot is? Sources estimate that Perot’s net worth is currently $4.1 billion, with the main source of this amount of money being his career as a businessman, making him the 129th richest person in the USA. Ross Perot grew up in Texas. He is the son of Gabriel Ross Perot, who was a broker of cotton, and Lula May Perot. 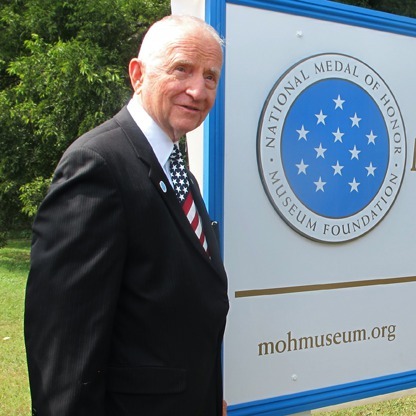 Perot was a student of Texarkana Junior College from 1947 to 1949, but soon after he started attending the United States Naval Academy. During his education, he was a very human person, so he became a volunteer at the Boy Scouts of America and won the Award of Distinguished Eagle Scout. He served in The US Navy until 1957. Perot’s career in business began in that year when he was hired as a salesman at International Business Machines (IBM). In no time, Perot became one of the noteworthy employees, as he managed to fulfill his annual sales quota in only two weeks. Perot wanted to progress in IBM, but his supervisors didn’t pay attention to his ideas, which eventually led to him leaving the company in 1962, soon after which he decided to found his own company, called Electronic Data Systems (EDS), with its headquarters in Dallas. Perot struggled to jump start his company, but then in the following years his company received massive contracts from government organizations to computerize Medicare records. By 1968, company stocks had risen ten times, from a mere $16 to $160, increasing Perot’s net worth by a large margin and making him a billionaire. In 1984, he decided to sell his company to General Motors in a deal worth just a little under $2.5 billion, and a percentage of GM shares, however, Ross sold his shares back to the GM in 1986, further increasing his net worth. Two years later, Perot established another company, called Perot Systems, an information technology services provider, with its headquarters in Plano, Texas. The company was another major Perot success, as its annual revenues were over $2.5 billion, which certainly increased his net worth also. In 2009, after more than 20 years of successful management, Ross decided to sell the company to Dell, its worth being just a little under $4 billion. Apart for being a successful businessman, Ross is also known to the world as an American politician. In 1992, he entered the presidential elections as an independent candidate, running his campaign on his own, using his enormous wealth to buy air time on television throughout the country. In the end, Ross lost the elections to Bill Clinton, but had 19% of the votes, becoming the first independent presidential candidate since Theodore Roosevelt in 1912. Four years later, he returned to the next presidential election, but this run was also unsuccessful. In 2012 he was involved in politics as an endorser of the Republican Party presidential candidate Mitt Romney. Following the year 2000, he decided to retire from his company’s operations and, although he stayed as the company’s official chairman, his son Ross Jr. was responsible for company’s operations. Perot has also authored several books while in retirement, including “Ross Perot: My Life & The Principles for Success” (2002) and “Ross Perot: My Life” (2013). When it comes to his personal life, Ross Perot has been married to Margot Birmingham since 1956 and they have five children.